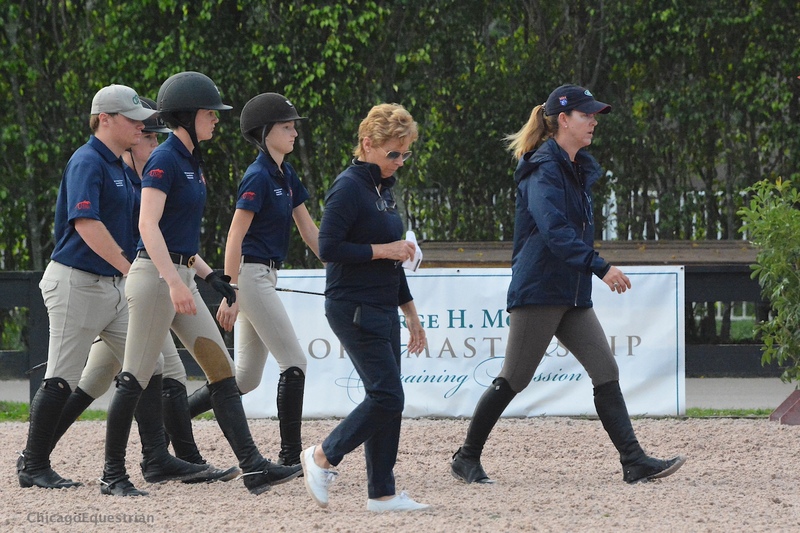 Anne Kursinski and her winning Nations Cup Team during the George H. Morris Horsemastership Training Session. Wellington, FL - January 2, 2016 – The George H. Morris Horsemastership Training Session wrapped up its third and final day at the Palm Beach International Equestrian Center in Wellington, Florida. With Morris, the former U.S. 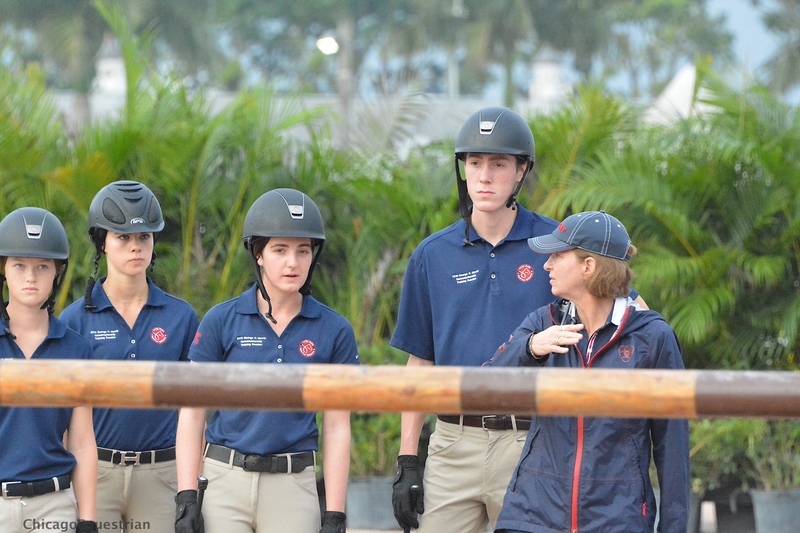 Chef d’Equipe, taking on new projects, the twelve selected riders for the session had the opportunity to experience three days with Olympians Beezie Madden, Lauren Hough, Anne Kursinski, Laura Kraut and Christine Traurig, ending with a Nations Cup format session. 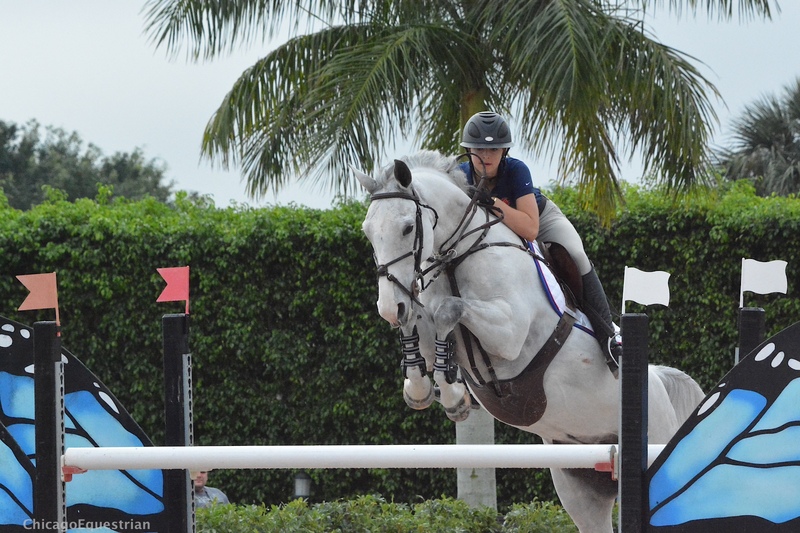 The training session has evolved in the past few years from being a program for the top equitation riders, to offering invitations to future U.S. team riders. The unique opportunity to get first hand experience from these generous Olympic riders is an example of the programs designed to educate and bring along young riders for the future of international competition. The fact alone that these prestigious riders at the top of our sport, took time out of their busy schedules to give back to the industry, says they have heard Morris’ concerns regarding the direction of our sport and are carrying on his tradition. 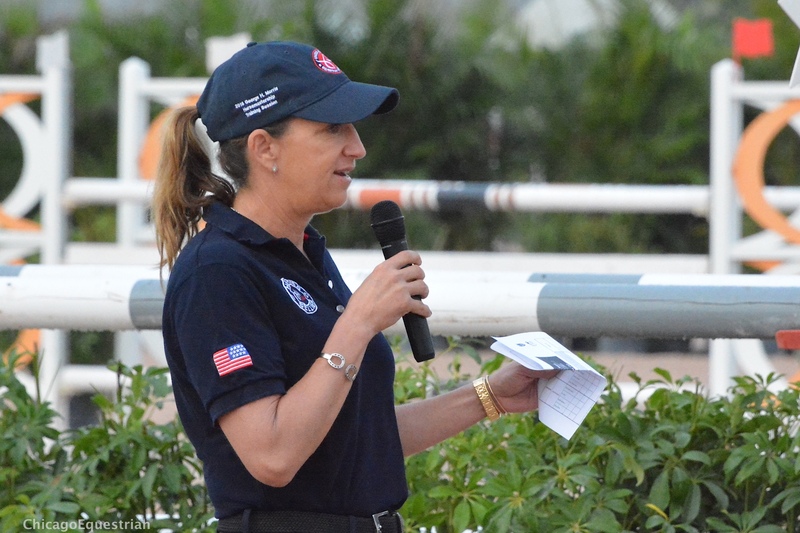 Laura Kraut reviewed each round with the riders. Beezie Madden walked the course with her team. Kursinski, Madden, Kraut and Hough have all helped out in Morris’ training sessions before, even working with riders in the barn to build their horsemanship skills. This was the first time the group conducted the entire education effort and acted as top of the line role models, impressively demonstrating their team work ethic. The elite group of young riders had flat work sessions on day one with dressage rider, Traurig, and watched a demonstration by Kursinski, who is inspirational when she talks about horses. Day two was a great session with a demonstration by Madden and a day of gymnastics. Riders concluded each day back in the barn with Colleen Reed, most known for her time spent at Fairfield County Hunt Club as manager and groom for Leslie Burr’s elite jumpers - Gem Twist, Pressurized and Charisma. Lauren Hough and DiAnn Langer walk the course with the Blue Team. 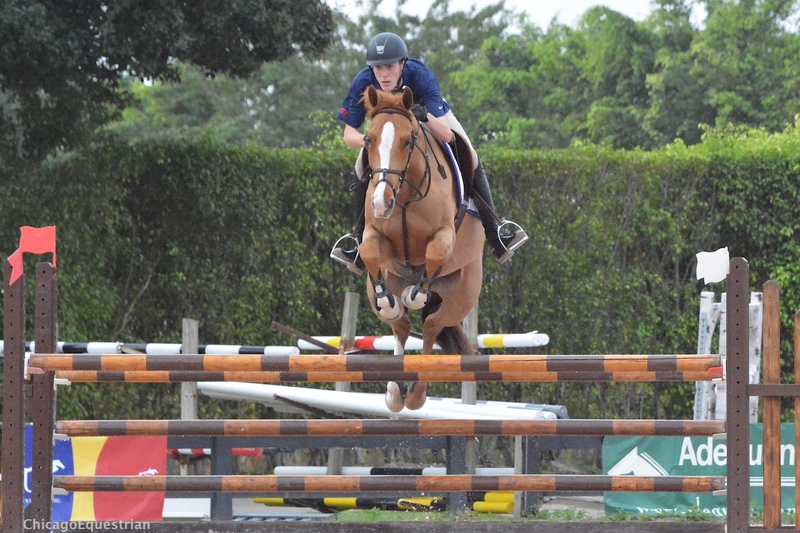 In the final session, riders participated as teams in a mock Nations Cup class over a track set by Conrad Homfeld. The group was divided into three teams to compete against each other for the team competition experience. Madden was the Chef d’ Equipe for the Red Team of TJ O’Mara, Daisy Farish, Ransome Rombauer and Kelli Cruciotti. TJ O'Mara was first to go for Beezie Madden's Red Team. Kursinski headed up the White Team of Katherine Strauss, Eve Jobs, Danielle Roskens and Victoria Colvin. Hough led the Blue Team of Allish Cunniffe, Mitch Endicott, Vivian Yowan and Lucy Deslauriers. Eve Jobs rode for Anne Kursinski's winning White team. The riders walked the course with their team and Chef d’ Equipe and worked together in the schooling ring to warm up for their shot at the exercise. Kraut gave each rider and the crowd a review of the rounds so riders knew what to improve for the second round and the auditors were educated as well. Madden’s team led after the first round with only six faults but in the end, it was Kursinski’s team who earned the top spot. 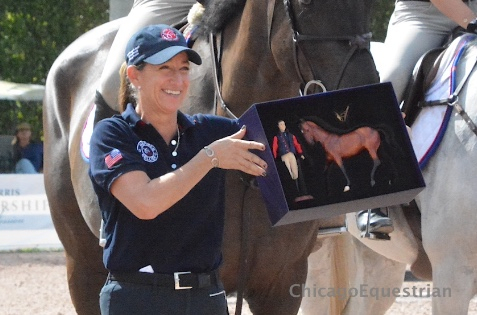 The winning team received the Limited Edition action figures of the legendary Morris and his Olympic mount, Rio. The winning team received Limited Edition George Morris and Rio action figures. The training session was a once in a lifetime opportunity for up and coming riders to have face-to-face time with Olympians they otherwise would not have the chance to ride with. The participants leave the three-day session with a wealth of knowledge from the top riders in the sport, the introduction to U.S. team role models, and the winning team has their very own, George Morris to take with them on their journey to the next level. For more information on the riders in the session, click here. For more information on the Developing Riders Program click here.